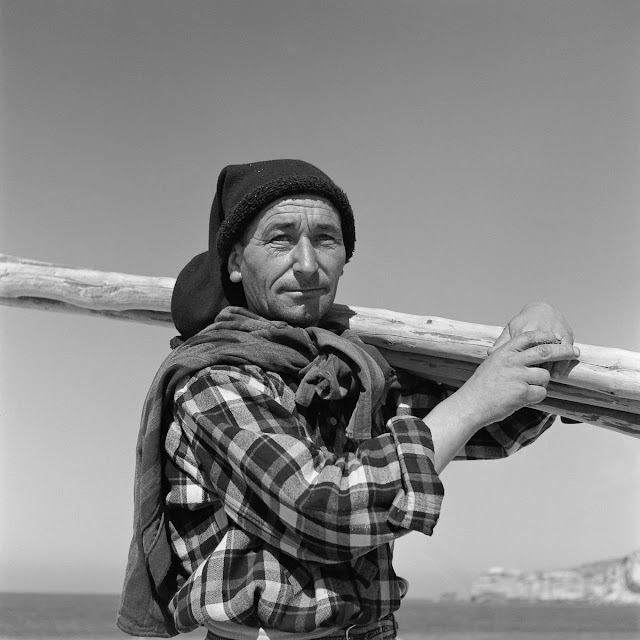 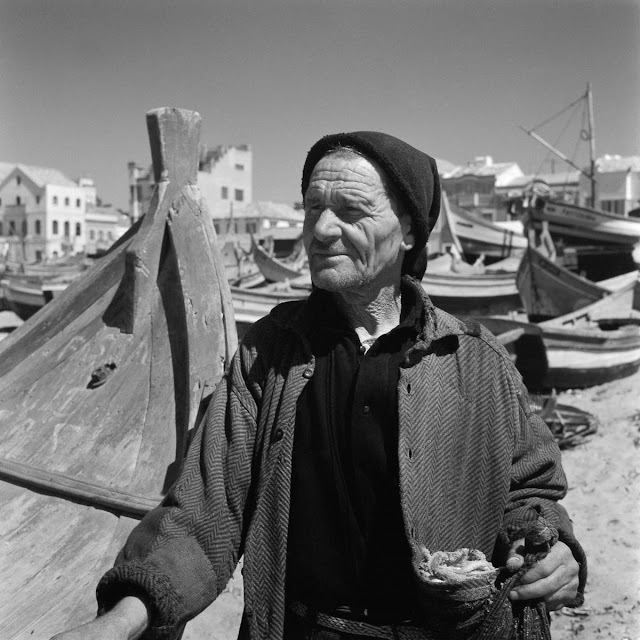 Traditionally, men dressed in checkered clothes and long wool hats fished from 15-foot open boats called saveiros, using spotlights and bait to lure schools of mackerel and horse mackerel into immense seine nets. 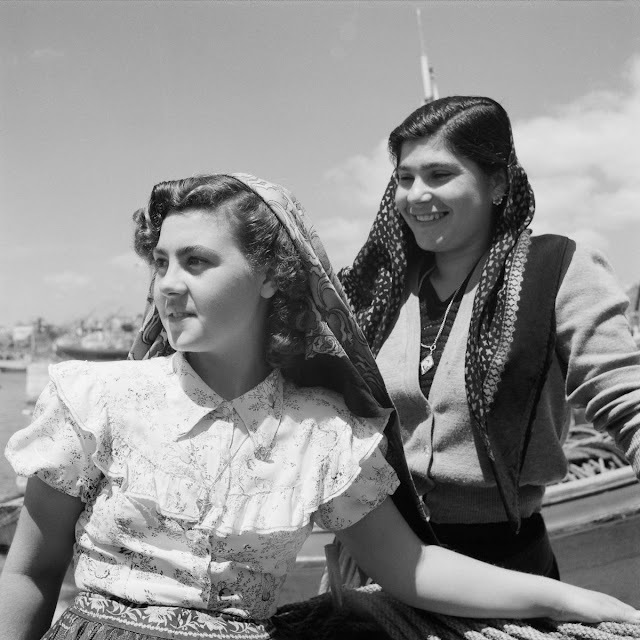 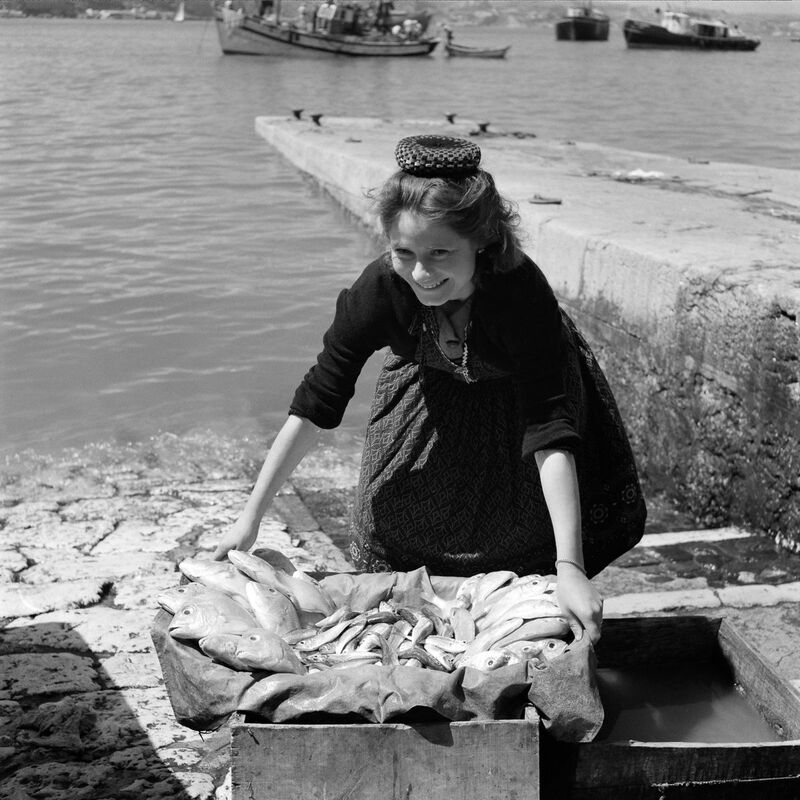 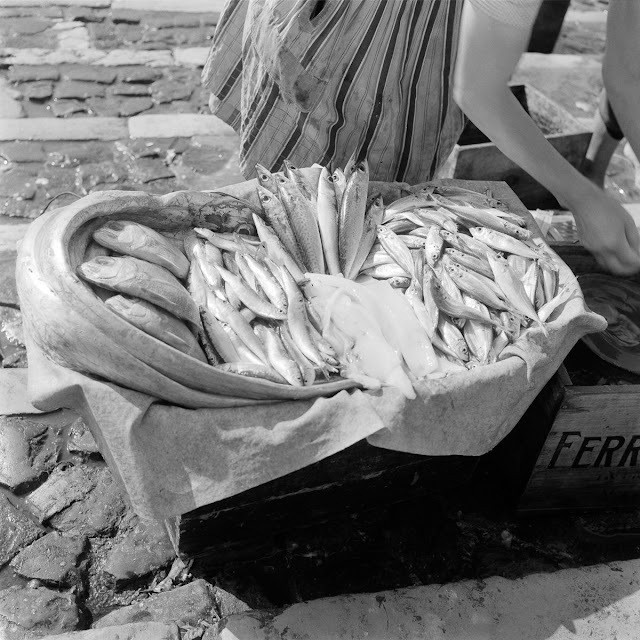 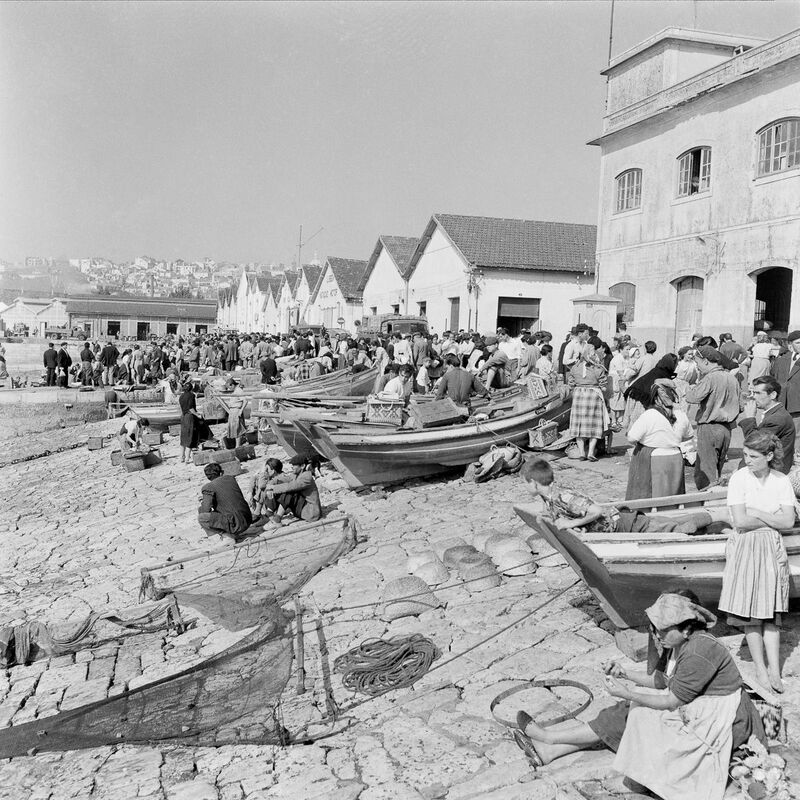 While the men were at sea, the women waited on the shore, processing and selling the fish. 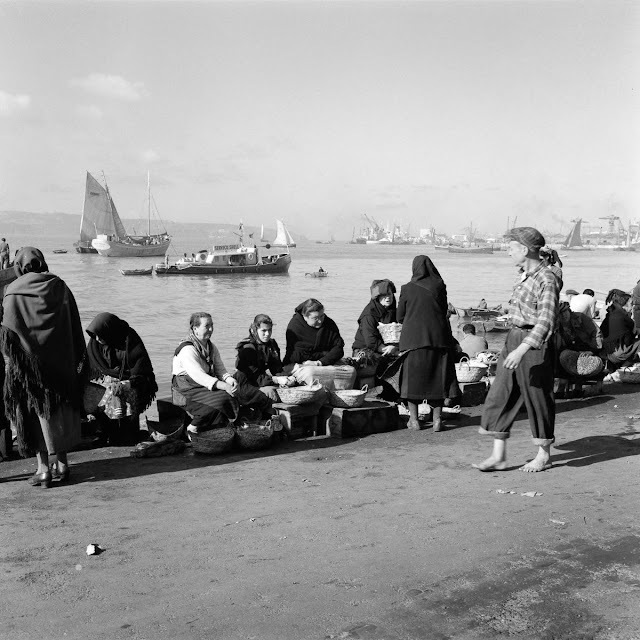 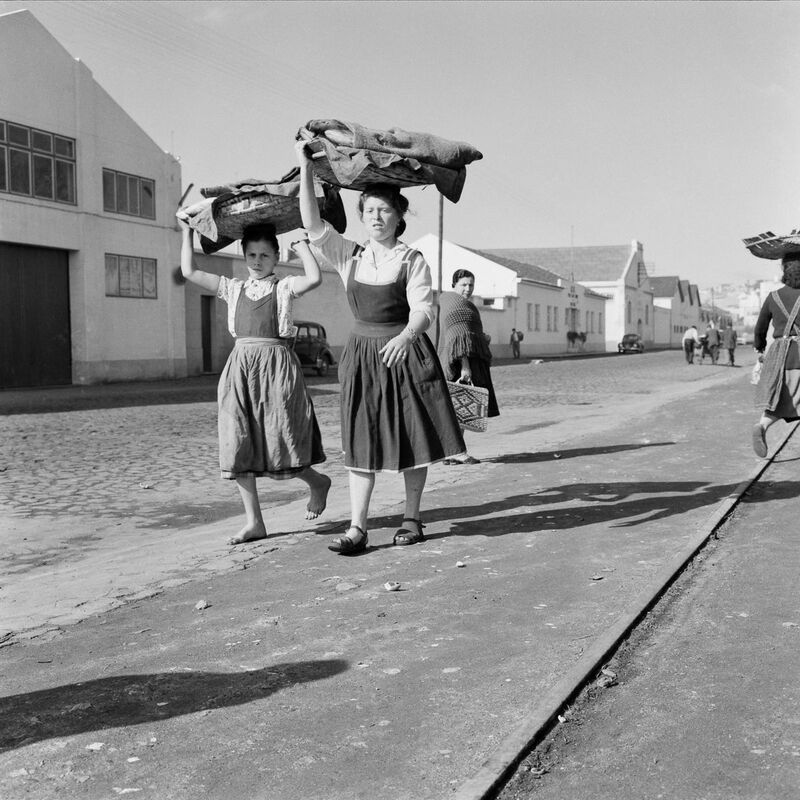 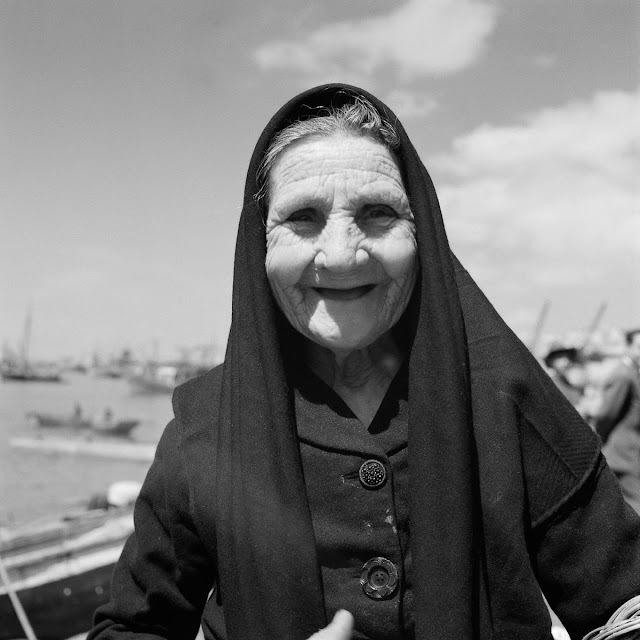 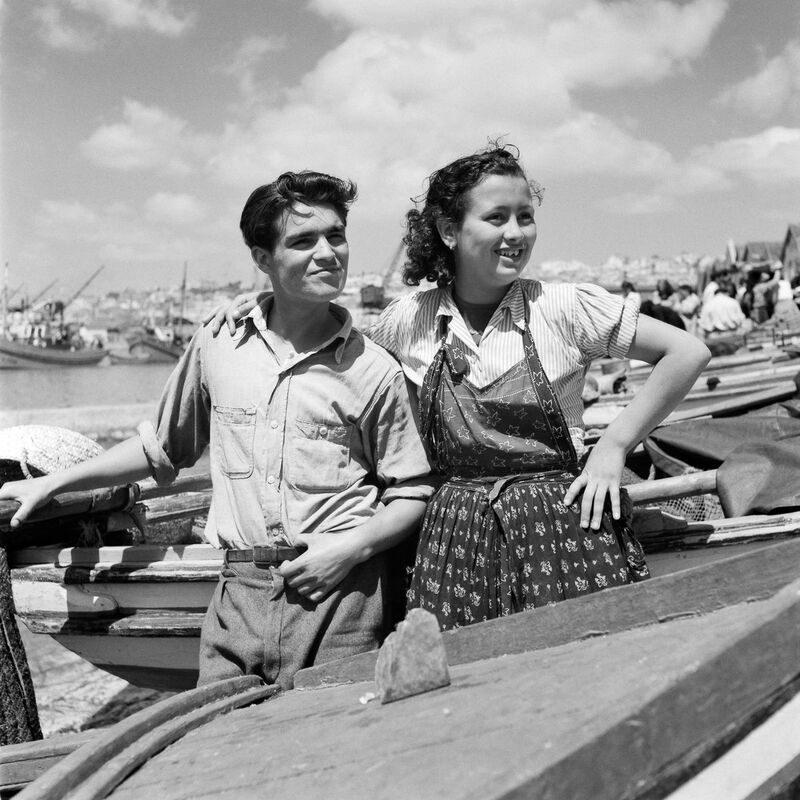 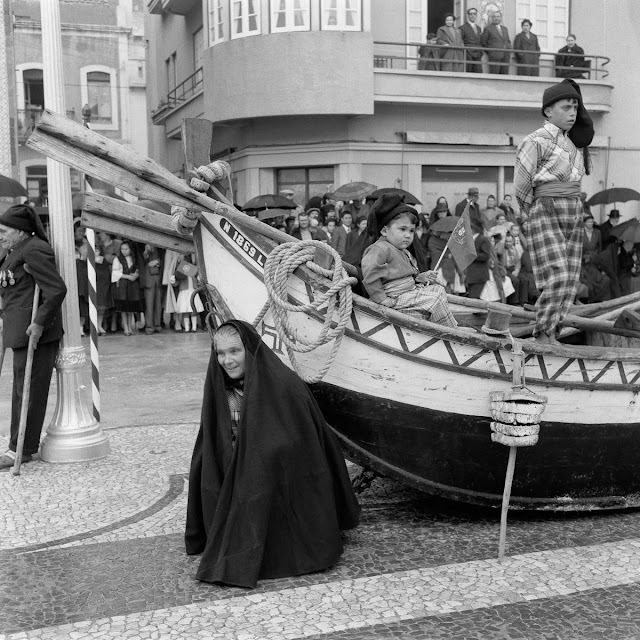 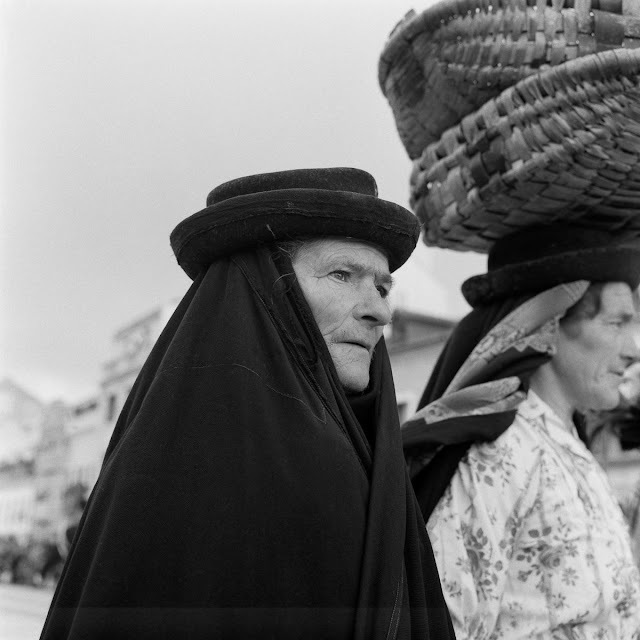 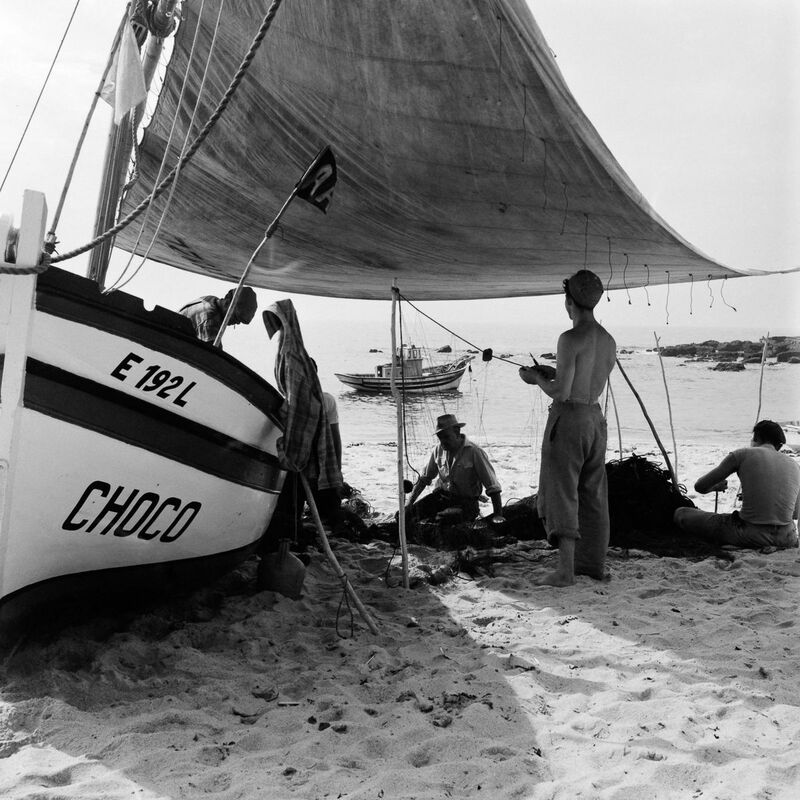 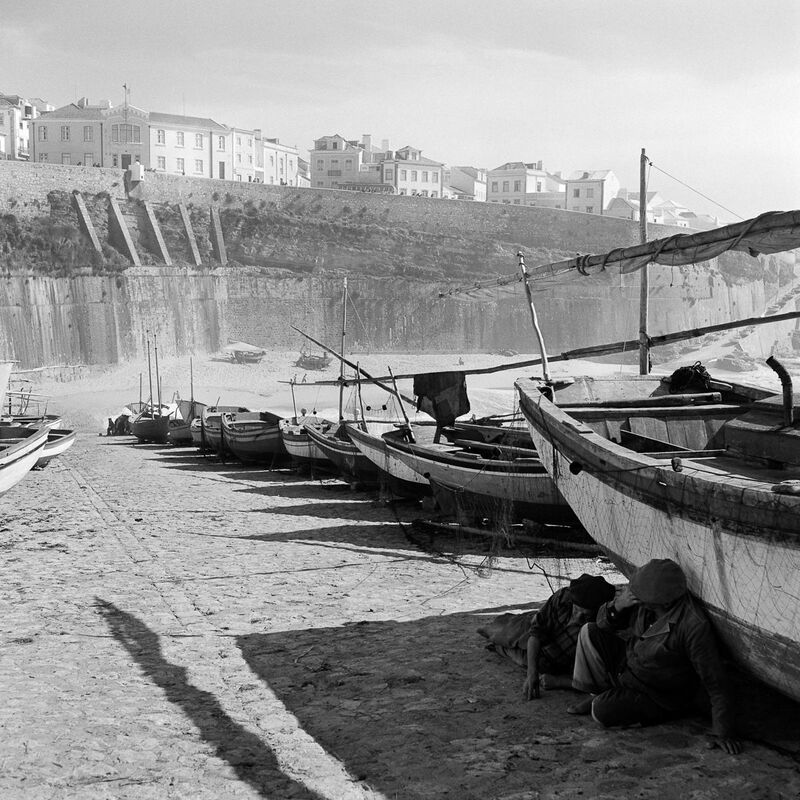 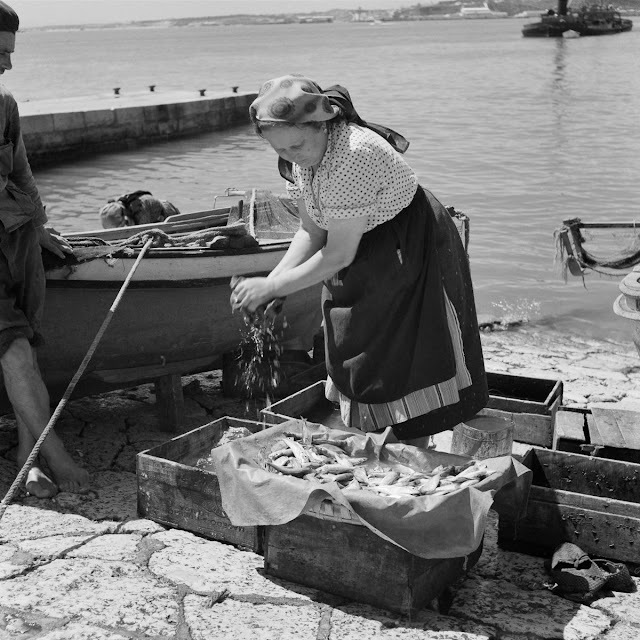 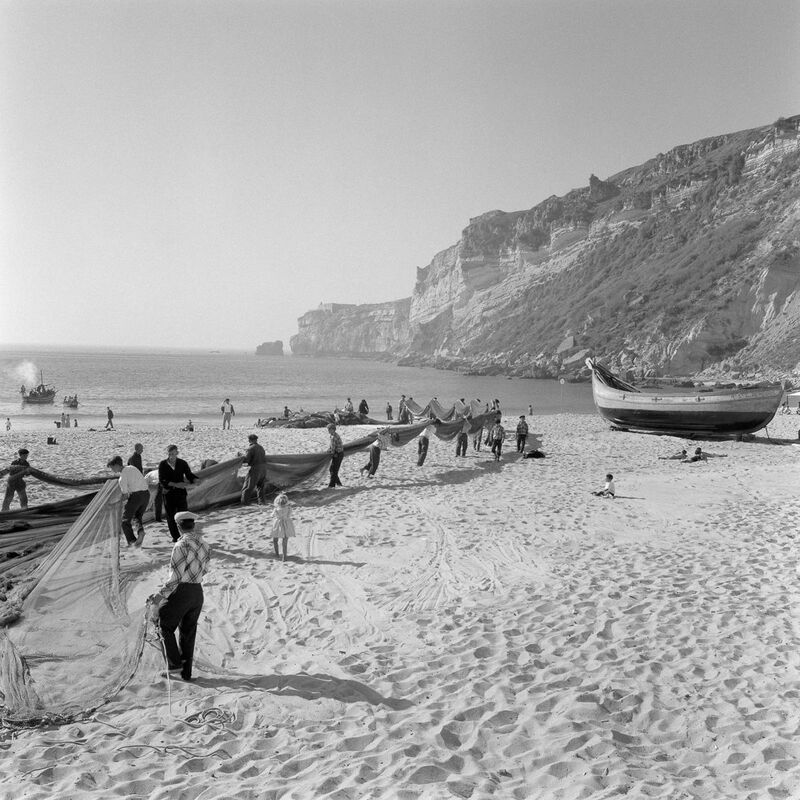 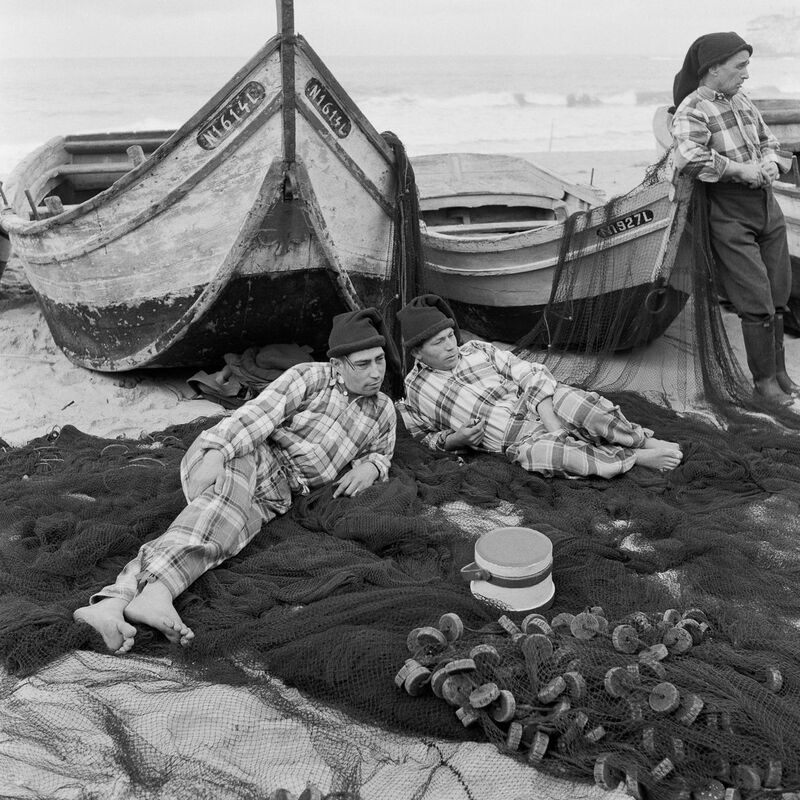 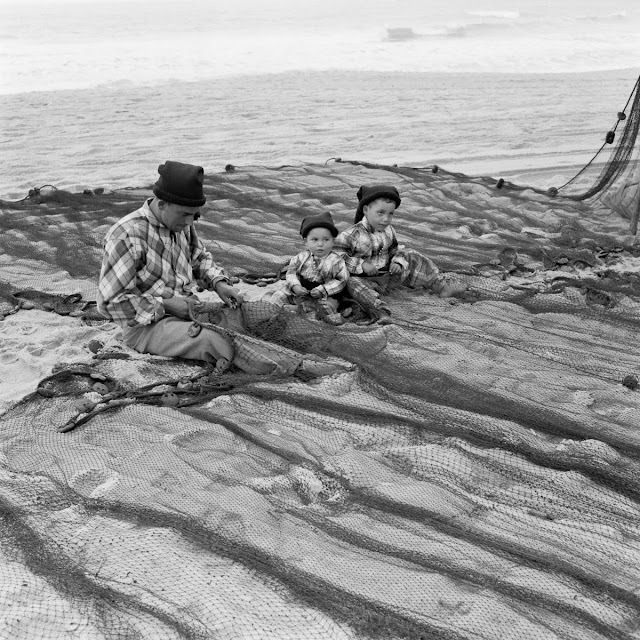 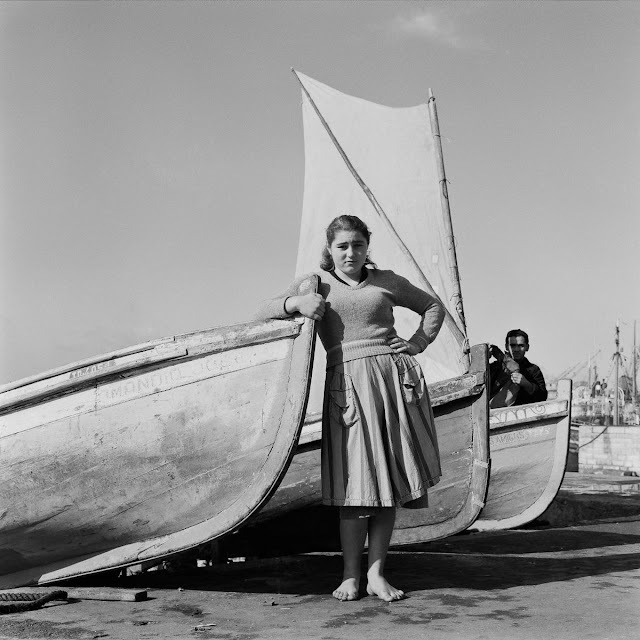 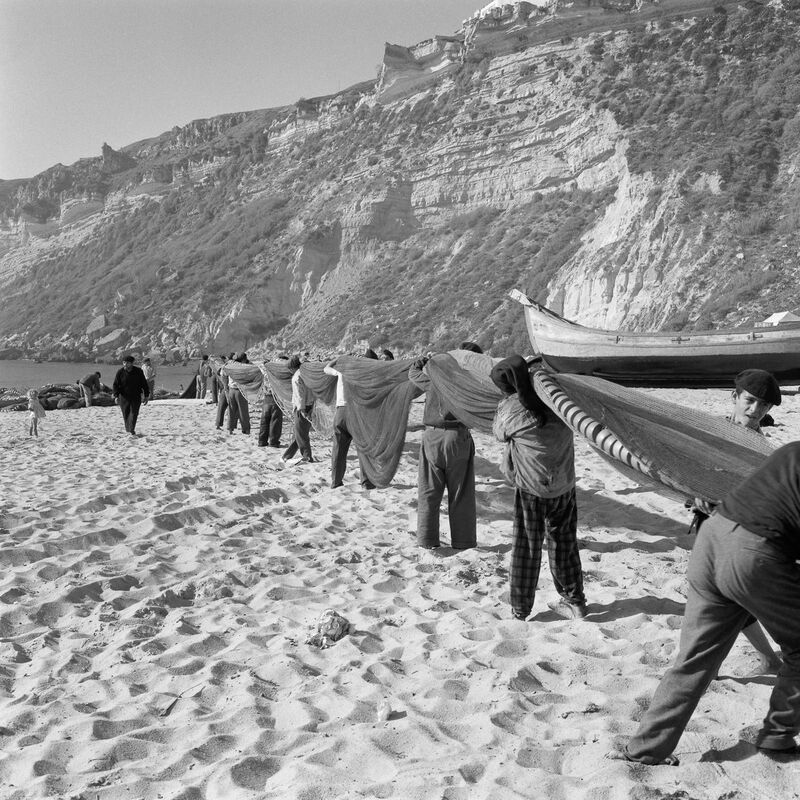 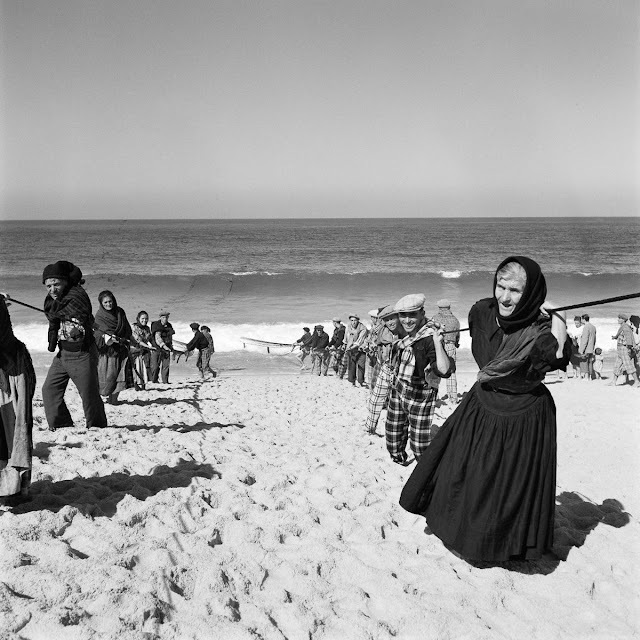 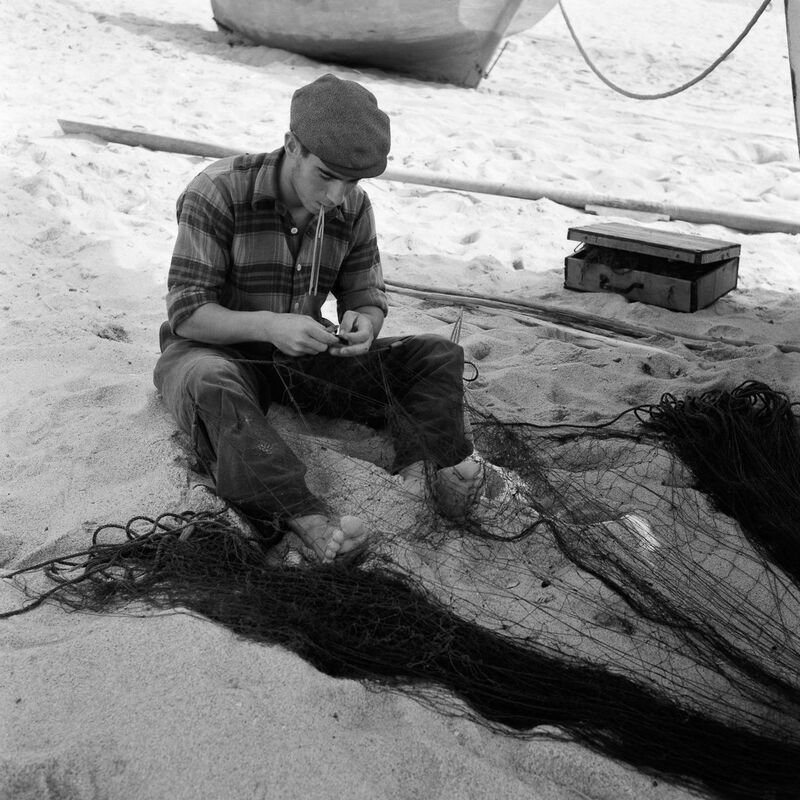 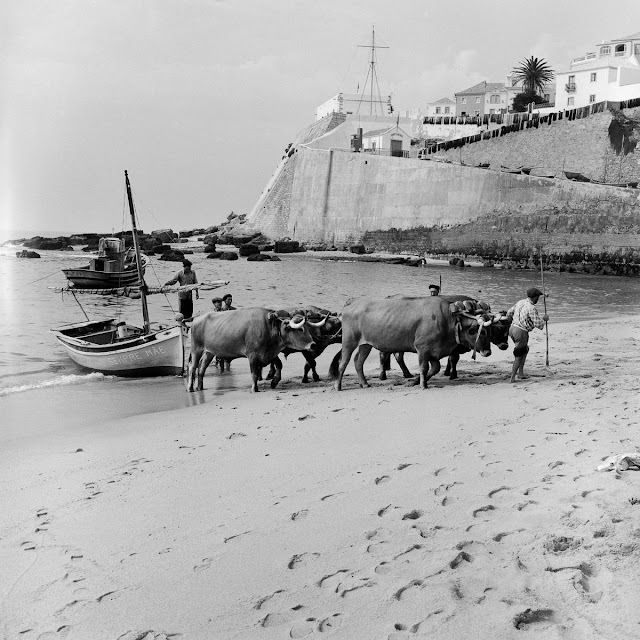 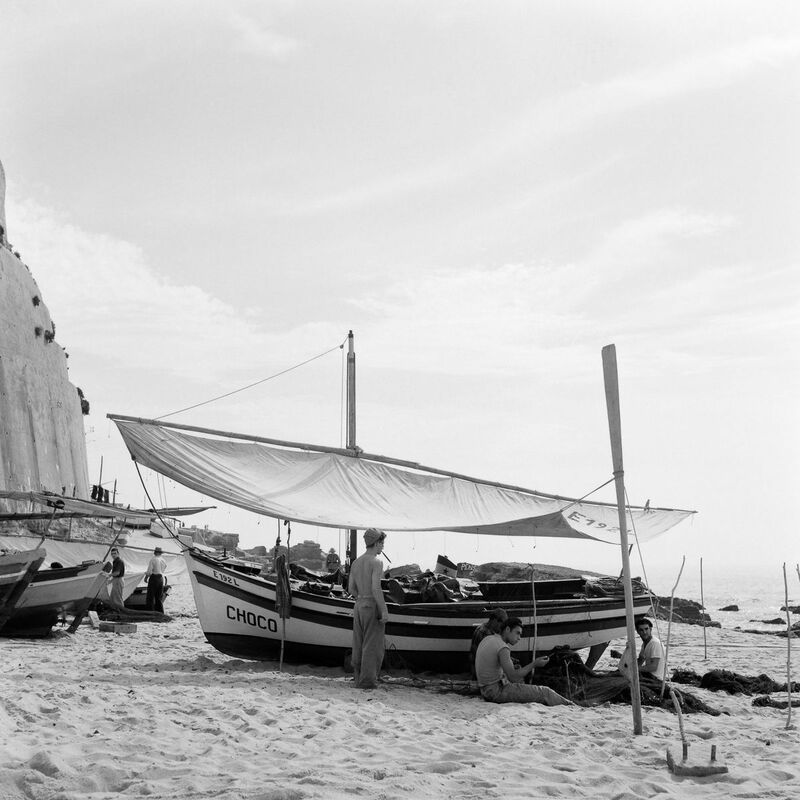 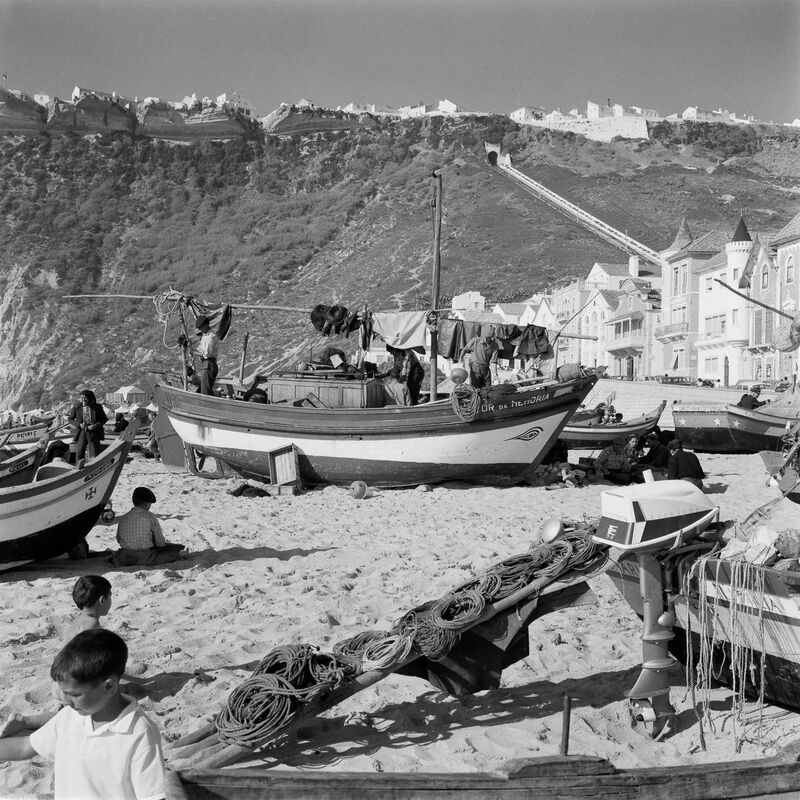 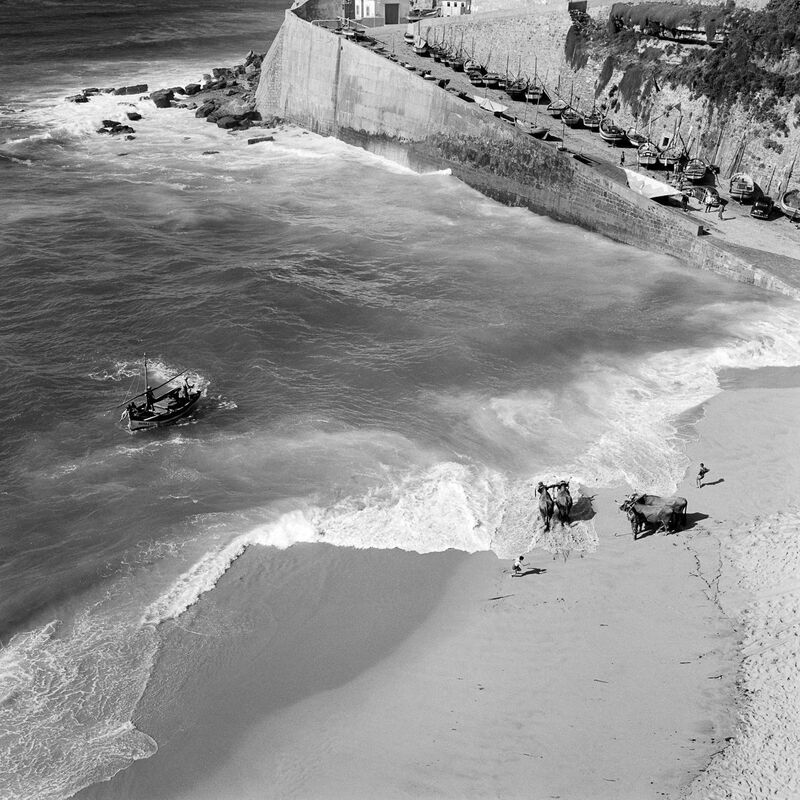 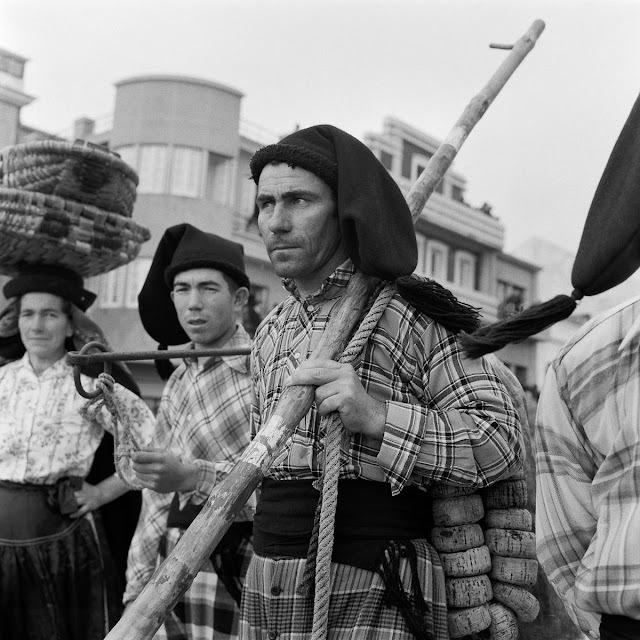 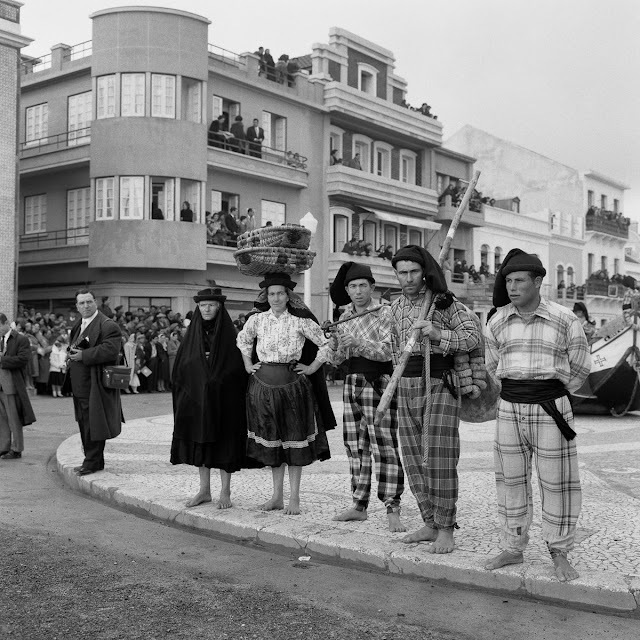 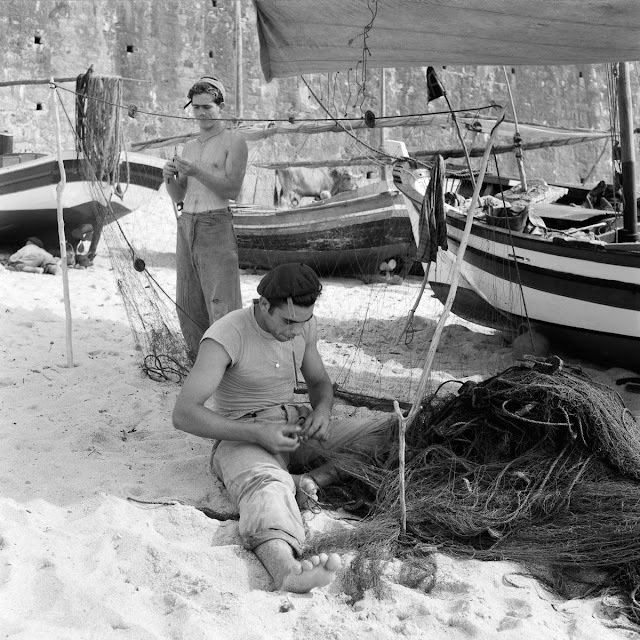 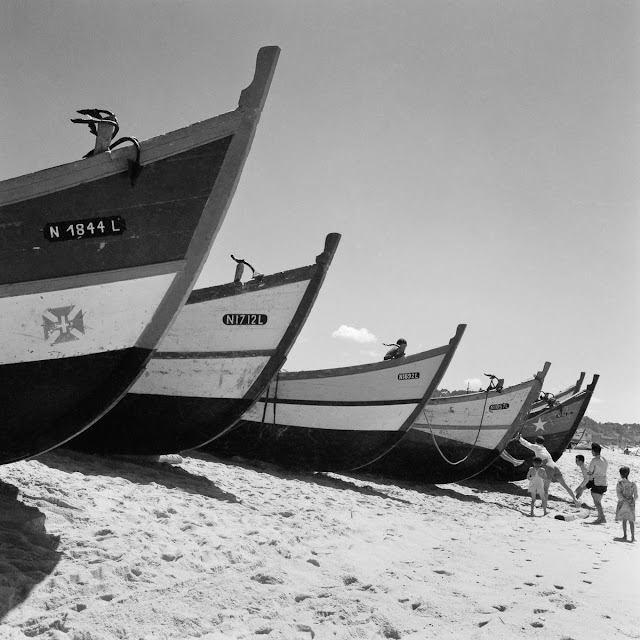 These photos from the Gulbenkian Art Library, via Retronaut follow the men and women of Lisbon and the nearby towns of Ericeira and Nazaré as they haul in their boats, mend their nets and sell their catch under the harsh Iberian sun.